Manchester Utd are currently fifth on the table with 41 points in the 26 games played so far in the league, six points below Man City and one point above Southampton. Midtjylland are third in the Superligaen with 31 points in the 17 games played so far, three points below Aalborg BK and above on goal difference from SonderjyskE. 26th February, 2016 at 01:35 (IST). Man United lost in their first leg against FC Midtjylland by 2-1 and the Danish side won after 10 games. 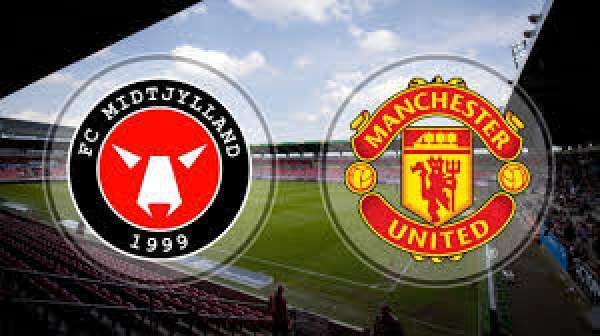 They were initially playing good and even scored the opening goal as Memphis Depay scored in the first half but FC Midtjylland was fast to react as Pione Sisto equalized and after a several attempts they finally scored the second as the substitute Paul Onuachu scored and FC Midjtylland won the match. Manchester United are going through one of the worst patches in their whole time since they have been a powerful club, in the last three years they havent won wny trophy and with these kind of performances they may not win any other trophy in the coming future. They had good weekend as they played against Shrewsbury Town in the FA Cup and won the match convincingly by 0-3 as Smalling, Mata and Martial scored. FC Midjtylland are in an average form as they won one against Esbjerg FB by 5-1, lost three against AGF Aarhus by 2-1, against Viborg FC by 2-4 and against Brondby IF by 2-1. They might have won the first leg but they also know that Man United have an away goal and only one goal can change this match. De Gea, Darmian, Smalling, Blind, Bothwick-Jackson, Carrick, Schneiderlin, Mata, Rooney, Martial, Lingard. Anderson, Hansen, Sviatchenko, Novak, Jensen, Duelend, Sisto, Sparv, Olsson, Poulsen, Onuachu. Being at home United have an advantage and can win this. Stay tuned to The Reporter Times for latest Football news and match updates. Come back for match result, highlights, recap and much more. Don’t forget to share it on social media sites to let other Football freaks also know.